Storage .it - New generation of the long and best-selling series. masté - Perfect to everyone, everywhere. Silicon Notebook - Patented notebooks offer unique texture and fun ways to personalize. Les Secrets LADURÉE par MARK'S Inc.
COCOhellein - An emotional & colorful collection by COChellein "designer enthusiaste". TOGAKURE - Convenient, Effficient, Tough & Airy. FOOOTY - The ball that fits every pocket. KIU - The go-out style anywhere you like. WOLF - Zakka Collection - New "WOLF" motif collection. PENSÉE - The useful wire binding notebooks. Travelife - Cherished tools to record every memory of daily life and special travel. 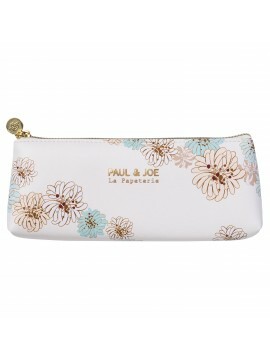 New Les Secrets LADURÉE par MARK'S Inc.
Keep style in your bag with the PAUL & JOE kit. Add a new dimension and elegance to your messages with this PAUL & JOE card Pop up. PAUL & JOE Spiral Notebook with fresh and contemporary design. It has colored pages in the center for faster access to your most important notes. A zipped pocket to keep tidy and to carry all the small objects essential to your trip.